This is a trivia quiz: who was the most unpopular President to ever leave office? The answer is Harry Truman. His popularity rating was a scant 22 percent when he left office in 1952, worse even than President Nixon’s 24 percent at the time he resigned from office. President Truman’s popularity has grown over the years. I pay tribute to him this Memorial Day weekend because of two characteristics Americans find attractive in their leaders. Mr. Truman spoke plainly and honestly. He could be profane, but you knew where he stood, because he was a plain talker. The second characteristic which is especially appealing these days was his willingness to take responsibility for the actions of the government. The sign on his desk said it all: “the buck stops here.” Contrast that philosophy with the current occupant of the White House who is still blaming his predecessor for every wrong in this country, including the gulf oil spill. Conservatives of yesterday and today bristle at President Truman’s liberal domestic politics, including his support of National Health Insurance. Nonetheless, let us honor this man who was a practitioner of forthright leadership at a difficult time in our history. America needs you Harry Truman! Let us honor another President, Ronald Reagan. You’re noticing a trend here, aren’t you? Both of these Presidents were born in the Midwest. I’m kind of partial to Midwesterners. I’m especially partial to this President. I could give you a hundred reasons, but let me leave you with two. First, Mr. Reagan had a specific vision for America and the world. One of them was to “defeat the ‘Evil Empire.’ “ The political left and the Media (excuse my redundancy) ridiculed his vision. Even more interesting, so did many conservatives. Détente was the operative political strategy of the age among Nixon conservatives. President Reagan won. The Evil Empire lost. And as a result, the entire world won. A man with a vision and conviction is a force to be reckoned with, and President Reagan was a force we have seldom seen in this country. Second, Mr. Reagan saw that the greatness, the strength of this great land flowed from the people. He was an optimist who encouraged us to believe in our own strength, our own ability to succeed and prosper if only government would get out of the way. What a contrast to the current occupant in the White House who views Americans as being weak, as in dire need of massive government intervention in our lives. America needs Ronald Reagan more than ever. God bless you President Reagan. God bless you President Truman. Thank-you for your contributions to America. You served your nation with honor and dignity. 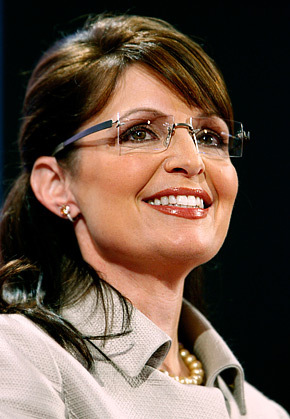 Ms. Palin was excoriated by the Obama administration and his cheerleaders in the media for her use of the term “death panel.” Her statement is worth revisiting in light of who President Obama nominated to be administrator of the Centers for Medicare and Medicaid. Obama has mandated massive cuts in these two programs. The new administrator will make those cuts. That man, should his nomination be approved, is Dr. Donald Berwick of Harvard Medical School. In other words, he believes in a single payer system. In other words, you ration. Now we get to the nitty-gritty: if you’re paying for your own health care, you get to make those decisions yourself. If the government is subsidizing it, as they shall under Obamacare, they make the decision, not you. Will healthcare be withheld (rationed) to some sick Americans? According to the President’s nominee to the Centers for Medicare and Medicaid, the answer is yes. That’s what rationing means. Some get it, some don’t, and you don’t get a say in it. Call it what you want: Federal Coordinating Council for Comparative Effectiveness Research or a death panel, the result is the same. By and large, Iowans are sensible and frugal. Yes, Des Moines and Iowa City have their fair share of big-spending liberals. But most Iowans have been blessed with some common sense. That leads me to Central Iowa’s Congressman, Leonard Boswell. I think Mr. Boswell is a good guy. Having said that, I disagree with him on most major political issues. “THE PELOSI INDEX, analyzes and tracks every member of Congress’ true voting record and details how often these self proclaimed moderates vote to support Pelosi’s radical transformation of America.” It tracks the votes cast on 12 key Pelosi legislative initiatives. Congressman Boswell, a Democrat, earned a perfect score of 100 percent. So did other Iowa Democrats, Bruce Braley and Dave Loebsback. By contrast, Republicans Steve King and Tom Latham earned a zero rating. I commend them for voting against these bills. The legislation included in The Pelosi Index tripled the Bush deficits in one year. America cannot sustain that much spending without creating financial instability and prolonged economic hardship. This November, we have a golden opportunity to do something about our deficits: elect a Republican Congress. According to the late, great economist, Milton Friedman, spending declines most when we have a Democrat in the White House and a Republican controlled Congress. Bill Clinton and Newt Gingrich were a dream team in some respects. Let’s give Congressman Boswell a much deserved retirement. We need fiscal restraint, and Congressman Boswell has demonstrated he’s not about to provide it. Did you read Dear Abby on Saturday? The question reflects a deeper problem facing America. Political differences were manageable as long as both sides share some basic values. Those values were stated in the Declaration of Independence: that each person has God-given fundamental rights to life, liberty, and the pursuit of happiness. Both political parties agreed on this value system until this generation. Today’s Democratic Party has moved away from the value system that served America so well. Instead, today’s Democrats pointedly reject the notion that a person has a fundamental right to life. There’s hope. Polling data shows America is becoming more pro life. 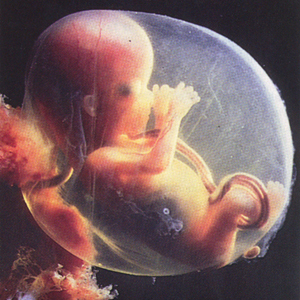 Technology lets us see into the womb in wondrous way. Anyone willing to look sees the beauty of humanity unfold from the moment of conception. The spark of creation is dazzling. One peek and the case for Life becomes compelling and the case for abortion becomes sickening. Just as the couple in Dear Abby are having a tough time, America is faced with a huge challenge as long as one political party wishes to impose their radical vision on the rest of us. The late Senator, Teddy Kennedy, said it so well. Yes, you read correctly. Senator Kennedy later changed his mind for political reasons. My hope is that Democrats will change their mind again for political reasons as a growing number of Americans realize what is actually in the womb: a person. The Democrats were on the wrong side in 1860. They are again in 2010.